About three hundred and fifty parochial electors attended that meeting on Tuesday, 4 December 1894. Lieutenant Colonel Henry Daniell was unanimously elected Chairman of the meeting. He had been Chief Constable of Hertfordshire since 1880 and continued until his retirement in 1911, aged seventy two. At the time the County Police Headquarters was in Hatfield, having relocated from Hertford some ten years earlier and Colonel Daniell himself lived in the town at Lothair Villas. The Chairman called for nominations and twenty six candidates contested the fifteen seats. When the result was declared one of the defeated candidates, Ezekiell Elliott of Park Street, demanded a Poll. This was held on Monday 17 December and only two out of the original fifteen failed to be elected. Elliott was not elected either. This procedure of a vote by a show of hands at a Parish Meeting, followed by a Poll only if requested at the meeting, continued through until the elections in 1946. Polls only took place in 1894 and 1904. The first meeting of the new Parish Council took place on Monday 31 December 1894 at the Hall, Hatfield and John Lloyd and Lt Colonel Henry Daniell were proposed for the position of Chairman. A vote took place and John Lloyd was elected as the first Chairman having gained a clear majority of nine votes to five. William Selby Church was elected Vice-Chairman, Mr W Cosens of London & Country Bank, Hertford was appointed Treasurer and Manasseh Johnson was formally appointed as Clerk “but the settlement of the additional salary he should receive for his new duties was postponed until a future meeting.” Other items on the Agenda included the Returning Officer’s account for the Council’s cost of the Poll which was £31/16/6d and the Assistant Overseer produced an account for expenses of the Parish Meeting amounting to £12/4/7d. It was also agreed that in accordance with the provisions laid down in the Local Government Act 1894 the Council Meetings would be open to the Public and Press and “that the latter have full freedom of report”……”except when the Council choose to go into Camera”. Born in London, John Lloyd was the younger son of John Lloyd, a city tobacco merchant and grandson of John Lloyd of London who purchased the Astwick Manor estate in 1819. Much of Lloyd’s life was spent in the brewing business and he was also a director of the Colne Valley Water Company. In the poll for members of the Parish Council John Lloyd was placed twelfth, but receiving a clear majority at its first meeting, was elected the Council’s first Chairman, serving in that capacity until 1899 and remaining on the Council until 1901. Lloyd always took a keen and active interest in his farm, was a frequent exhibitor at the County Agricultural Show and a keen supporter of the Herts Agricultural Society of which he remained a member until his death. A keen all-round sportsman and an expert skater, it is recorded that at the age of ninety he was to be seen, “teaching by performance, some of his grandchildren how to cut figures on the ice.” In 1871 Lloyd married Fanny Royds of Watford, the sister of Henry John Royds for whom Kennelwood House, the present offices of Hatfield Town Council was built in the 1890s. A Justice of the Peace for Hertfordshire for forty five years and a member of the Hatfield Bench, he was, at his death aged ninety seven, the country’s oldest JP. He died at Astwick Manor on 27 February 1937 and is buried at St Luke’s Hatfield, where in tribute to his farming interests, it is recorded on his tombstone that “he gathered 75 harvests”. Son of a Gloucestershire labourer, George Garlick was born in 1841 in the Cotswold Village of Great Barrington. Having studied for the ministry at Nottingham Congregational Institute in 1870 he accepted an invitation to the pastorate of the Congregational Church at Wickford, Essex where he served for twelve years. His ministry continued at Rushden, Northants which he left to undertake public work in London, during which time he championed the cause of open spaces for the people. Following two years as minister at Boxmoor, Herts, and a further two years at Deddington, Oxon in 1892 he accepted the position of minister of the Park Street (Congregational) Chapel at Hatfield. Here he remained thirteen years during which time “his strong personality, his winsome character, and his loyalty to conviction, won the esteem and friendship of all parties and people.” Active in the local government of Hatfield, he was a member of the Board of Guardians as well as being a member of the original Parish Council of which he was Chairman from 1902 -1904. He retired on account of ill-health in 1905, he and his wife residing for a short time at St. Albans before moving to Brecon where his daughters ran a private school. He died in Brecon on 30 May, 1909 and is buried in Brecon Cemetery. Born in 1854 at Wethersfield, Essex Joseph Gunn came to Hatfield as a young man with his father in about 1880, the pair setting up business as smiths and farriers in Batterdale. His only son Joseph Alfred Gunn, a ship’s steward, lost his life in the Titanic’ disaster of 1912. Following his retirement Joseph Gunn resided in Stonecross Road, where he died at the age of eighty in April, 1935. He is buried in St. Luke’s Cemetery. Born in Aylesbury in 1858, Albert Hill came to live at Lemsford Mill at the age of eighteen, combining the pursuits of miller and farmer for many years. He was a foun­der member of the Herts Agricultural Society, upon its reconstitution in 1880, and held the office of Hon Secretary for its first two years. During this time he accom­plished “a considerable amount of useful work” for the embryo Society and he was then elected as a member of the Society Committee in 1882. While resident in Lemsford, Albert Hill participated in most of the activities of the village and was a churchwarden for some years. He retired when the Mill was taken over by the Sheriff family in 1907 and took up residence in Hatfield Road, St Albans, where he had a close association with the Abbey. Albert Hill married Emma Mary White, a farmer’s daughter, in 1885. He died in London on the 8 May 1940 following an operation and is buried in St Alban’s Cemetery. Born at Brookmans Park on 3 January 1845, Casamaijor Gaussen was the younger son of Robert William Gaussen and great-grandson of Samuel Robert Gaussen who bought the Brookmans Park Estate in 1786. Gaussen was educated at Eton, and Trinity College, Cambridge. Following his marriage in 1884 to Mabel Constance Miles of Bristol he lived at Llanelly and also in Somerset. They came to reside at ‘Howlands’ at Hatfield Hyde in the 1890s following its rebuilding on the site of an old farmhouse of the same name. The present road in Welwyn Garden City is named after the house. Casamaijor Gaussen was appointed a J P for Hertfordshire in 1897 and for many years was an active member of the Bench. He was greatly interested in all forms of country life, and was a keen sportsman. During the first World War, it is said he saw service in the Herts Volunteers, although then over seventy. An invalid during his latter years he died at Howlands on 14 April, 1923, aged seventy eight and is buried with his family at North Mymms. James Gray was born on 20 April 1860, the twelfth of thirteen children, in Welwyn. However, his connections with Hatfield go back to the early 19th Century when his grandfather, a labourer, settled in the town. Gray’s father, Daniel, a wood dealer turned farmer, eventually became tenant of the historic old Queen Hoo Hall in Tewin and it was from here that the young James was sent to Hertford to be apprenticed to a coachmaker. In 1882 he returned to Hatfield to take over a small coach builder’s works in the town where, with the advent of the motor car, he built up a thriving car­riage and motor works which until recently continued to bear his name. It is noted in Council Minutes for 1911 that “Mr J Gray” was paid a retainer and annual fee to supply a motor to pull the previously horse drawn Hatfield Fire Engine. Gray served for twenty-five years as lieutenant, secretary and treasurer of the volun­tary Hatfield Fire Brigade. He was also an active sportsman and was captain of the Hatfield Rifle Club. In 1885 Gray married Alice Chambers of Lichfield. He died in Hatfield on 15 December 1913, aged 53, and is buried in St. Luke’s cemetery. Born in Hatfield on 22 November 1846, John Gregory’s father, who was a car­penter, is said to have come to the town from Lincolnshire to assist in the rebuilding of Hatfield House following the fire which destroyed the west wing in 1835. For over fifty years he carried on in business as a grocer in Park Street retiring in 1924, John Gregory served a total of thirty-eight years as a member of the Parish Council, and was its chairman from 1919 to 1935 when he resigned, at the age of eighty nine due to ill health. He was one of the first members of the Hatfield Voluntary Fire Brigade, and for a number of years was a member of the Board of Guardians. He was appointed a Justice of the Peace in 1925. His wife, Ann Sophia Dunham, had been born into the old Park Street (Congregational) Chapel, and following his marriage, John Gregory also transferred his allegiance from Church to Chapel, and became a leading member of that congregation. He died on 5 January 1937, aged ninety one and is buried in St. Luke’s Cemetery. Born at Lower Handside on 16 June 1837, the only surviving son of William Cooper Horn of Handside, William Horn devoted his life to agriculture and until his retirement in 1917 he successfully farmed much of the land which later became the site of the original Welwyn Garden City. He was a prominent member, and for many years treasurer, of the Herts Agricultural Society. On the foundation of the County Council in 1889 he was elected one of its original aldermen. He was also a member of the Hatfield Board of Guardians and of the Rural District Council, of which he was the first chairman, and was for many years a Justice of the Peace. He was a director of the Hatfield Gas Company for twenty five years and for over half a century served as churchwarden of Lemsford Parish Church. Through his wife (Sarah Cox, whom he married in 1860) he had a family con­nection with Hatfield of probably a longer duration than any other, her ancestors hav­ing farmed in and around Handside and Stanborough continuously from the 15th Century. William James Horn died at Handside on 14 April, 1923, and is buried at Lemsford. A founder of the Hatfield farming dynasty, Arthur Sherriff was born on 22 Octo­ber 1848 in Aylesbury. In 1872 he married his cousin Annie Sherriff, and in the same year came to Hatfield to take over the lease of the Park Street Brewery with its corn, coal and salt trade. With his five sons he created a large and successful milling, farming and agricultural merchants’ business. He was also associated with the Herts Agricultural Society. A member from its reconstitution in 1880, two years later he was elected its Hon. Secretary, in succes­sion to Albert Hill, and it was due to his energies and devotion that the Society achieved its great success. He was elected a member of the first Parish Council of Hatfield in 1894, and was for some time a member of the Rural District Council. He was also at one time chairman of the local Conservative Association but, although keenly interested in politics, took no very great part himself. A man of considerable conscientiousness and probity, he lived latterly at Lea Side, Mill Green, where he died 19th October, 1921 aged seventy two and is buried in St. Luke’s Cemetery. Henry Kendall was bom on 3 July, 1840 in Lima, Peru where his father spent many years as a representative of a firm of London merchants. Educated at Chelten­ham College, he at first went into business with his father and for three years lived in Valparaiso. He was later a director of the Union Bank of London and of the London Assurance Corporation Ltd. and for many years he represented the Republic of Bo­livia as its consul in London. Henry Kendall married in 1865 Georgina Isabella Omanney of East Sheen, and their early married life was spent in Richmond and Ewell in Surrey. It was not until the mid 1870s that they settled in Hatfield, residing first at Bush Hail, and later moving to the The Hyde (or West Hyde House) – since demolished – at Hatfield Hyde. Here he and his family took a leading part in the life of the district being particularly associated with the work of the local school and of St. Mary Magdalene’s Church (of which one of his sons was for a time curate-in-charge). 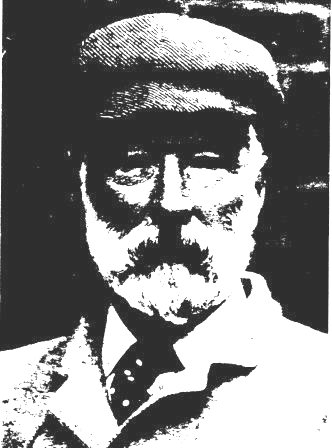 Henry Kendall died at The Hyde, 25th February 1914 aged seventy three and is buried in St. Luke’s Cemetery. The only son of John Miller, a civil engineer, John Miller was born and educated in Edinburgh. In 1873 he was admitted to Jesus College, Cambridge, although he did not graduate. On his appointment as Land Agent to the Third Marquess of Salisbury, he came to Hatfield in 1885, where he held the position for twelve years and resided in Hatfield Park. John Miller took a very active part in the life and government of the town, he was a member of the old Board of Guardians and at the elections for the newly formed Rural District and Parish Councils in 1894 he topped both polls, was elected first Chairman of the Rural District Council and remained a member of both bodies until he left Hatfield. An active County Magistrate and committee member of the Herts Agricultural Society, Miller resigned his position with the Marquess and his seats on the Councils in 1897, when he left Hatfield and soon after married Evelyn Stewart of Calder Park, Lanarkshire. Born in Croydon Surrey, in 1841 John Peary settled in Hatfield after his marriage to Martha Randall, daughter of George and Sarah Randall, in 1868, licensees of the Wrestlers a public house later kept by his own step-mother. Most of his working life was spent as an engine-fitter in the employ of the Great Northern Railway. He was elected to the first Parish Council despite the opposition of the Station Master who protested that the regulations of the Railway Company did not permit its servants being members of Parish Councils – a view which caused much discontent in a town where a good percentage of the population worked in one way or another for the Railway. Peary was the only railway employee to be elected. He died at Wrestlers Cottages at the age of eighty four on 23 June 1926, and is buried with his wife and step-mother in St. Luke’s Churchyard . This page was added on 17/09/2011.